Gemini Syndrome front-man and guitarist Aaron Nordstrom has launched his new podcast, The Liquid Conversations, with renown DJ and Interviewer Shawn SixX (SIXX STRINGS, CBS Radio, Boston's Classic Rock, 100.7 WZLX, 103.3 AMP Radio). Debuted at the Hard Rock Cafe on the Las Vegas Strip, the premiere episode features conversations with Vegas resident and guitarist of the Christian metal band Stryper, OZ FOX. 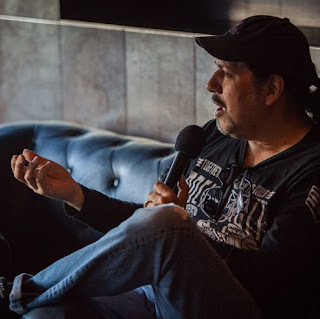 Listen to Take Oz Fox interview discussing real jobs, addiction, line up changes, and relationship pitfalls in the music industry: https://soundcloud.com/theliquidconversations/tlc-episode-1-oz-fox-of-stryper.